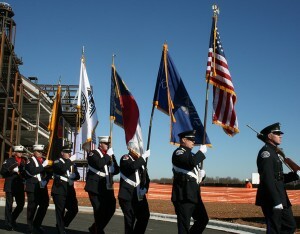 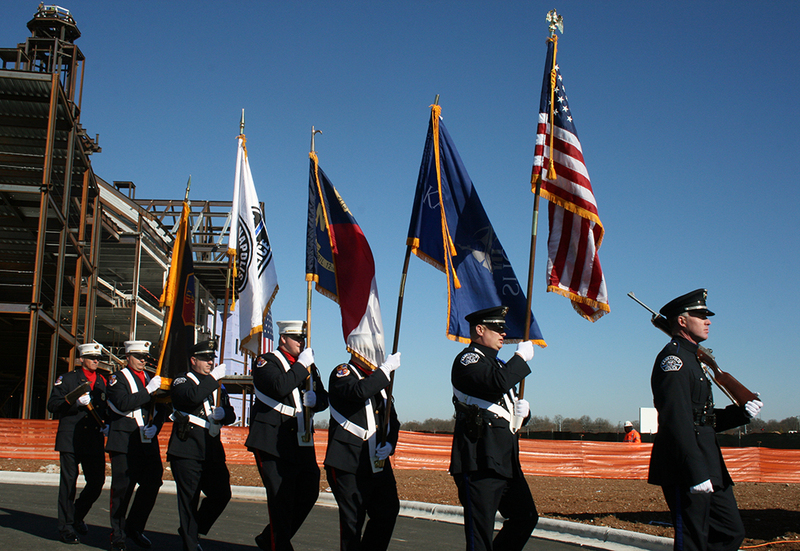 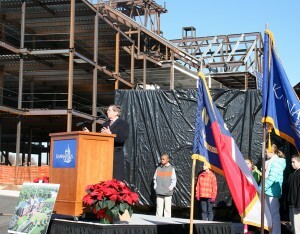 Steel structure tops out for City of Kannapolis Town Hall and Police Headquarters - Rodgers Builders, Inc. 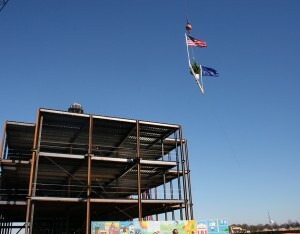 The steel structure of the City of Kannapolis Town Hall and Police Headquarters reached its highest point today, with the ceremonial placement of a steel beam signed by workers and guests. 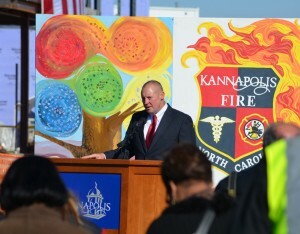 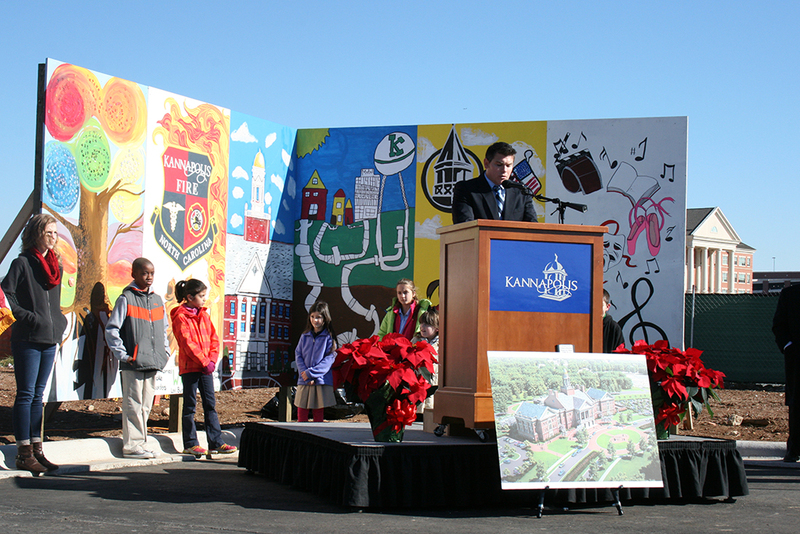 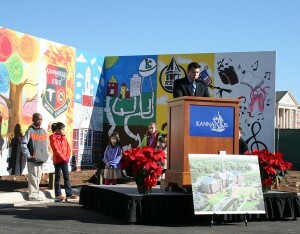 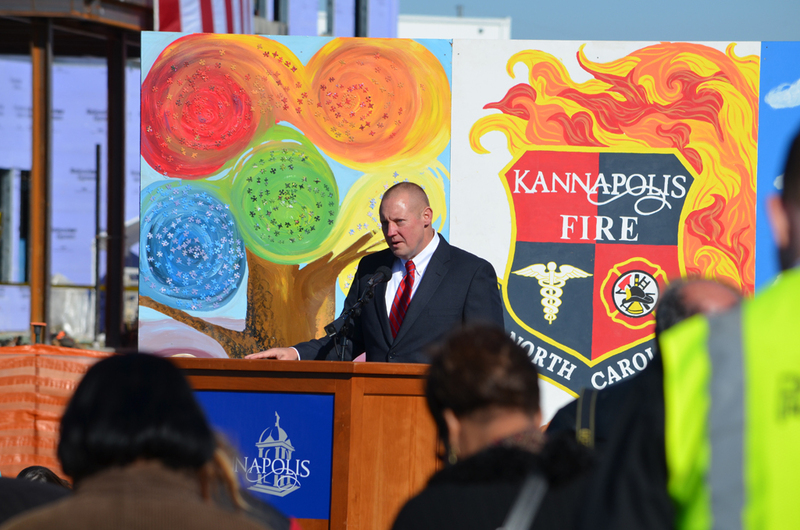 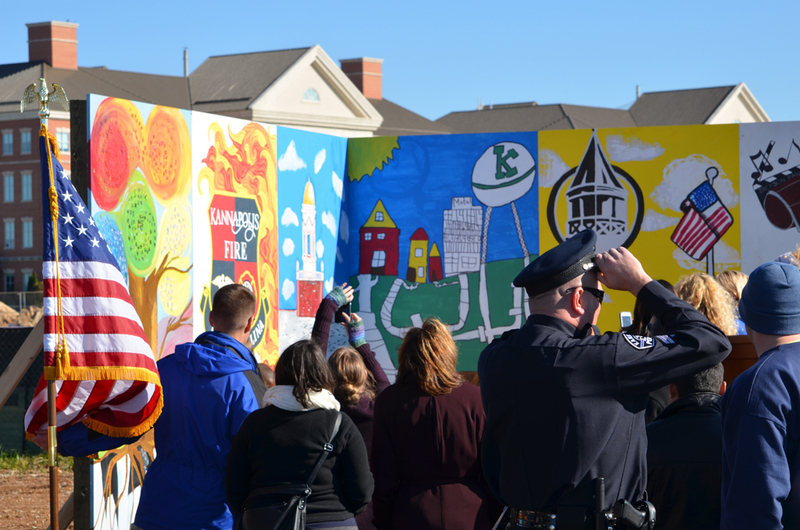 The Honorable M. Darrell Hinnant, Mayor, City of Kannapolis, unveiled panels of special artwork by students at Kannapolis City and Cabarrus County Schools, depicting the work City employees, police and firefighters will do in the new building. 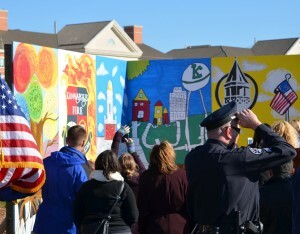 The murals will hang on fencing surrounding a portion of the construction site. 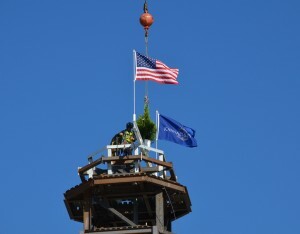 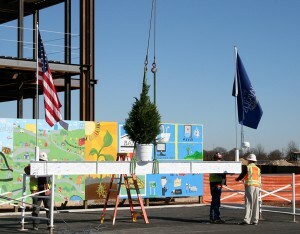 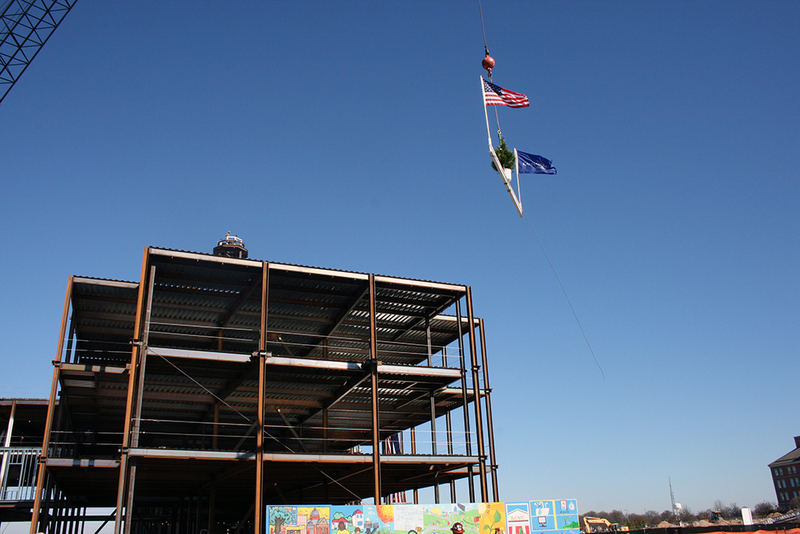 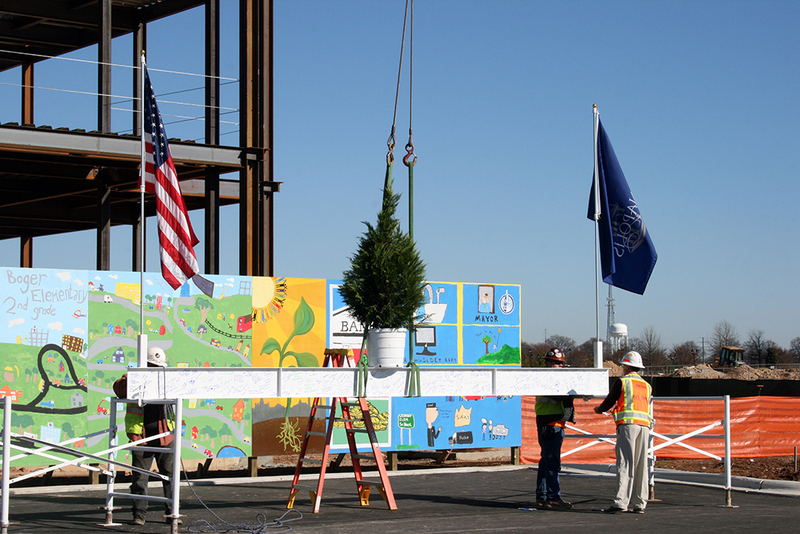 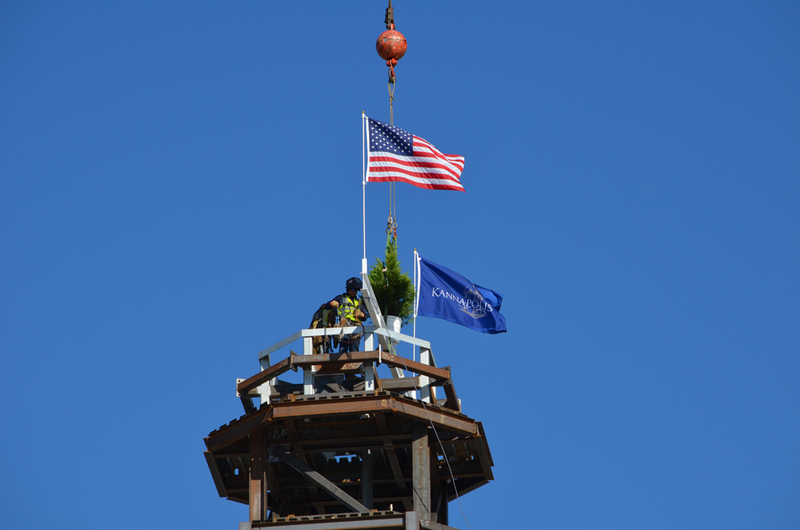 Over 500 people gathered for the traditional topping out ceremony, with a twist. 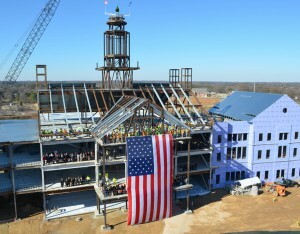 After the beam was set in place, construction workers, police, firefighters, City employees, local VIPs and guests spread out on the top three floors of the structure for a group photo alongside a 50-foot American flag. 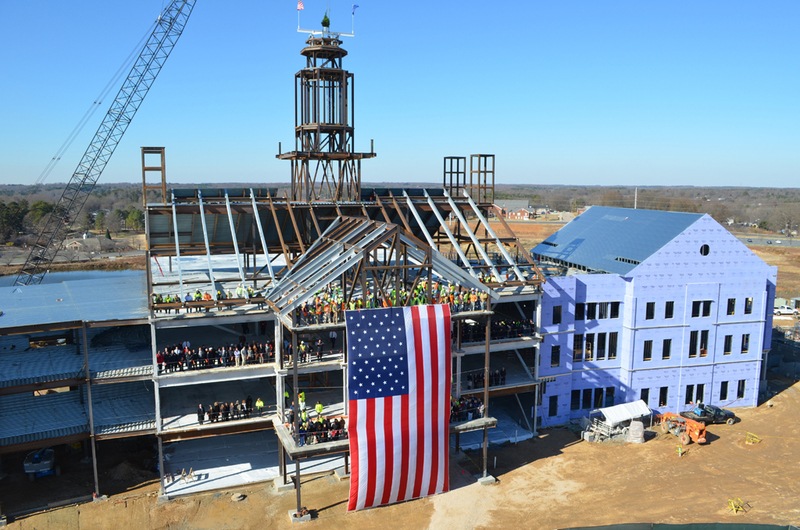 The 106,000-square-foot, three-story brick building will house departments for planning and community development, customer service, finance, administration, human resources, technology, fire administration, parks and recreation, and legal. 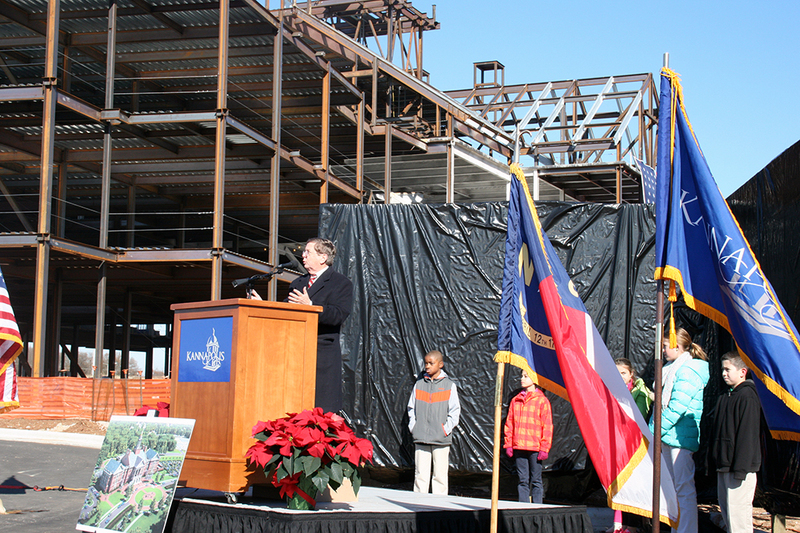 When construction is complete in 2015, it will be the first time in the City’s history that all departments will be in one location.